This section only contains American and Canadian Silversmith or silversmith with operations in America. 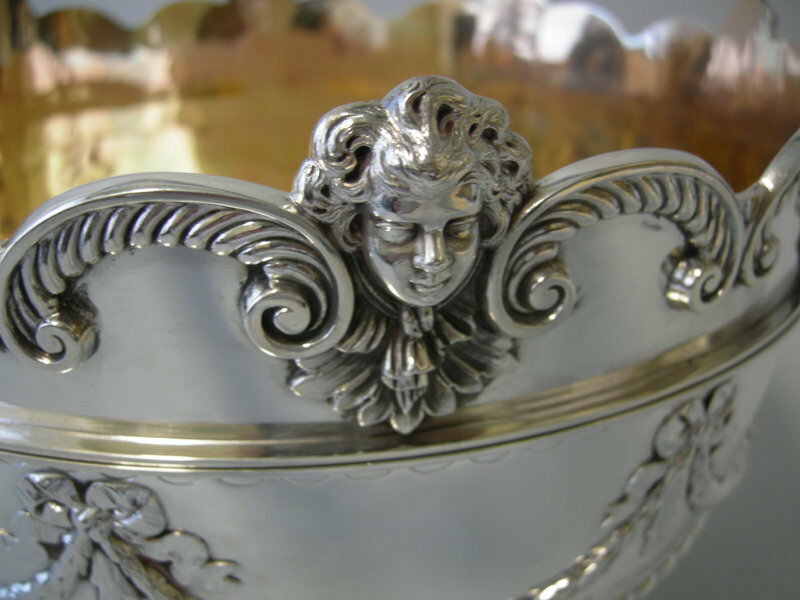 For European Silversmith, please click here. In the partnership of John & Tunis Denyse with Tunis Denyse c. 1800. 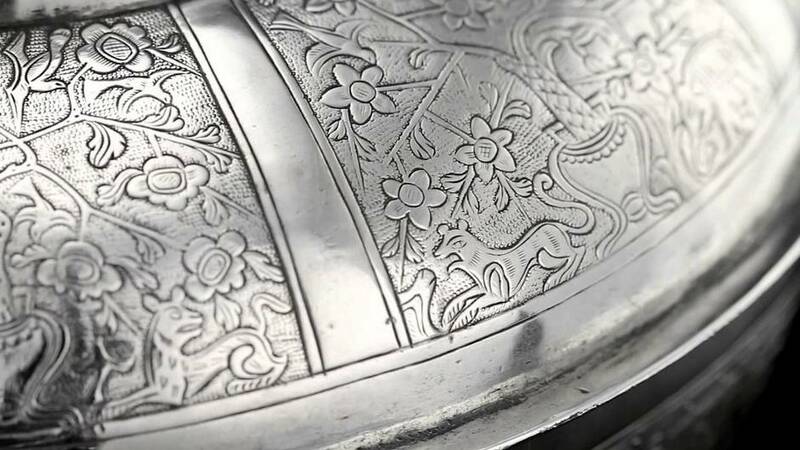 Succeeded by Depasse, Pearsall Silver Co. Makers of sterling overlay and silver deposit items. Modernist studio jeweler. One of the founders of the San Francisco Metal Arts Guild. 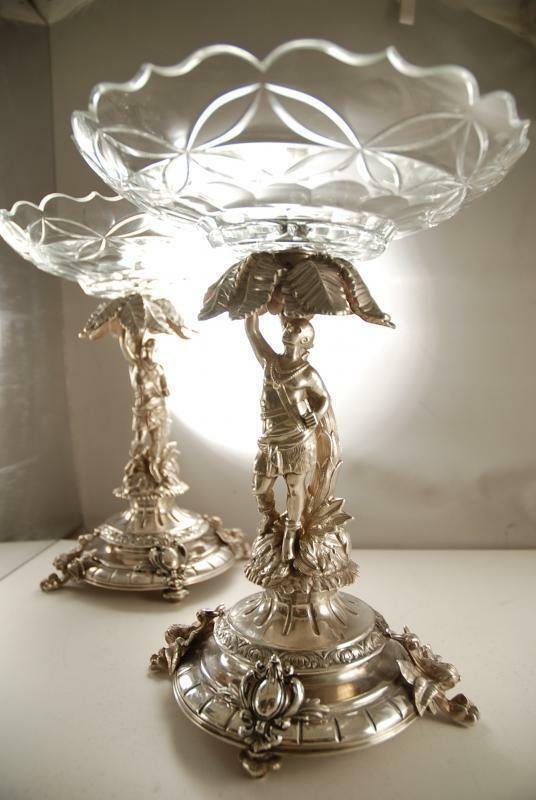 A well known silverplate manufacturer; did make some small sterling items until 1895. One of the companies which formed International Silver in 1898. Silversmith, jeweler, and watchmaker. Left the trade in 1861 to become a sword maker for the Confederacy. Benjamin Dexter and Cyreneus W. Haskins. Silversmith and watchmaker. In partnership of Dexter & Haskins with Cyreneus W. Haskins 1860-1879. In the partnership of Dibble & Jacks 1841-1842. Pliny Dickinson / P. Dickinson & Co. In the partnership of Dickinson & Hannum with John Hannum c. 1843-1844. 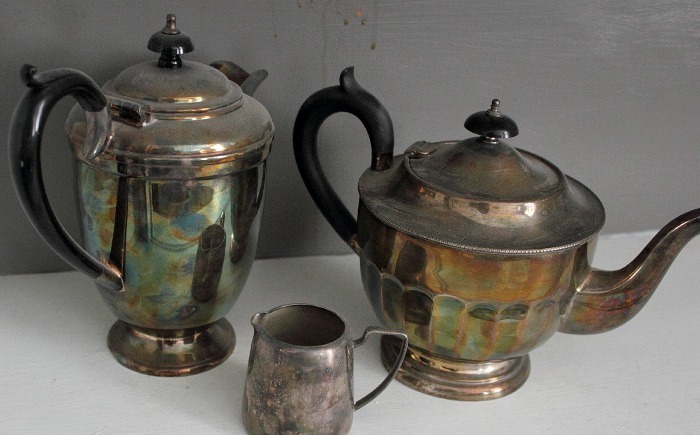 Arts & Crafts era silversmith. Richard Dimes was established in South Boston, MA.It was founded in the year 1923 and lasted till 1955. 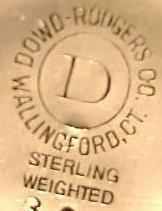 Its founder, Richard Dimes started Towle's hollow-ware line around 1890. Richard Dimes Co. manufactures both sterling flatware and hollow ware. 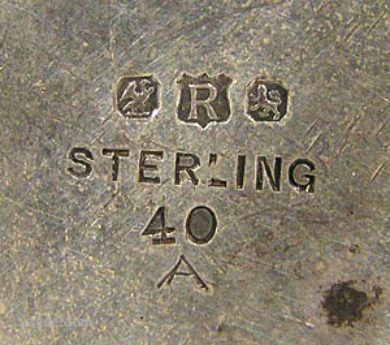 In the year 1955, the company was acquired by the King Silver Co. and its flatware dies were sold to Manchester Silver. 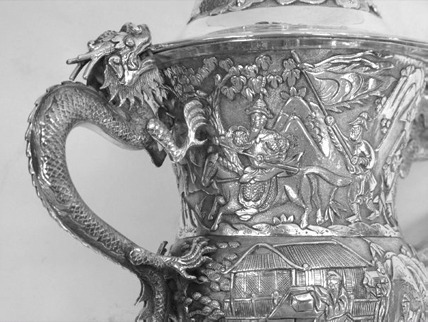 The company was later acquired by Lunt Silversmiths. In the partnerships of Gurnee, Dimond & Co. in 1829 and Dimond & Tillotson 1831-1832. Founded by Gerrit Dirksen. 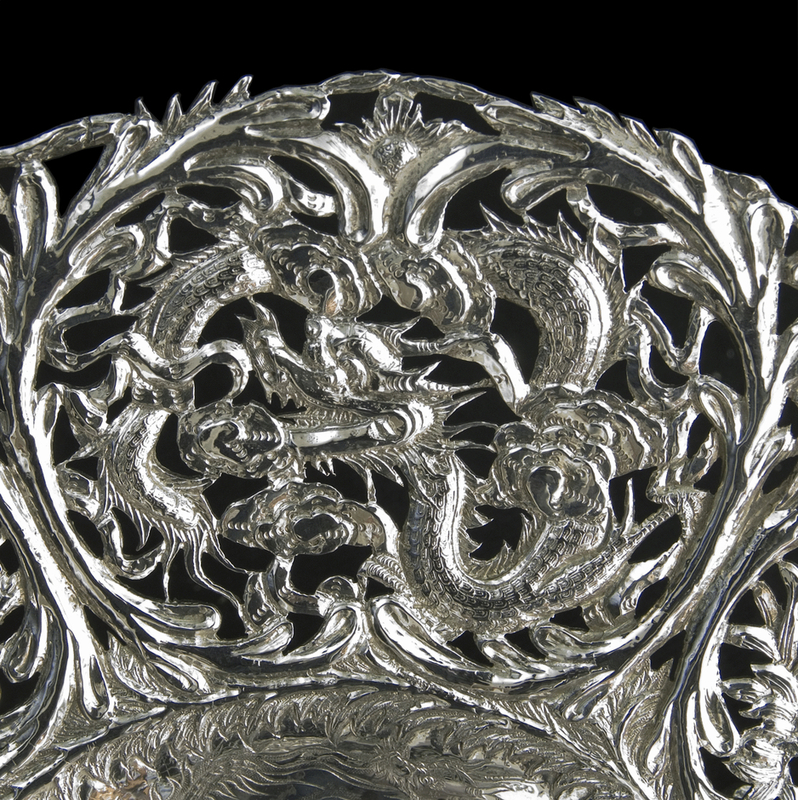 Makers of sterling filigree flatware, hollow-ware and novelties. 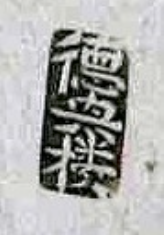 The company also has a crossed GD mark in addition to the marks at right. Was in the partnership of Isaac Dixon & Son 1872-1884. Was in the partnership of Munger & Dodge with Sylvester Munger 1824-1825. A pioneering Rhode Island industrialist whose craft was that of "manufacturing jeweler". He is generally regarded as the principle founder of Rhode Island's costume jewelry industry. Master to Jabez Gorham , founder of the internationally renowned Gorham Manufacturing Company. Trained as an architect at MIT, Dodge learned the silversmithing trade after he was wounded during WWI. He continued to design homes and businesses, eventually working full time as an architect. 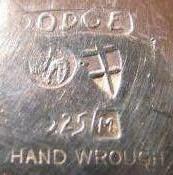 Dodge produced hand wrought Arts & Crafts sterling flatware and hollow-ware which is much sought after today. 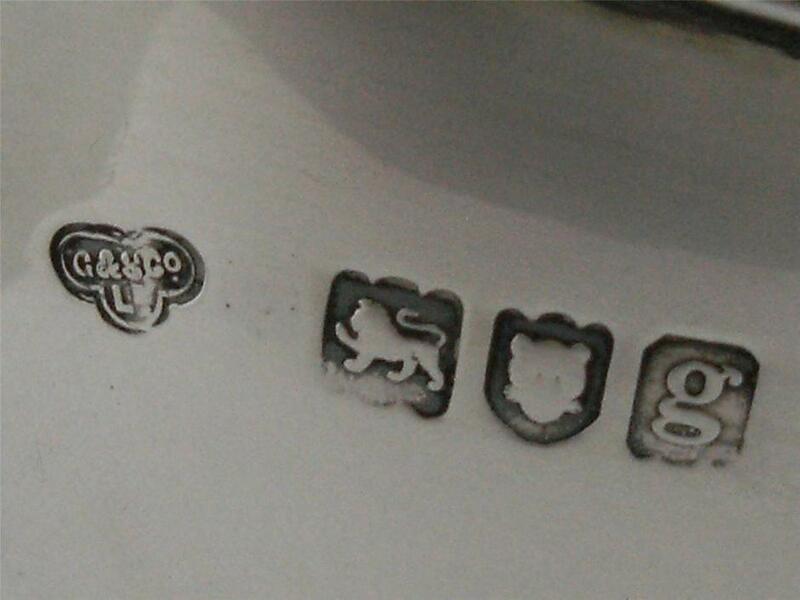 The Asheville Silver craft mark was used prior to 1929. Henry Lyman Dole / H. L. Dole & Co. Operated as H.L. Dole & Co. 1865-1877. Silversmith and jeweler. Dominick & Haff was founded in the year 1872 in New York, NY. The origins of Dominick & Haff can be traced back to Gale & Sticker in 1821. 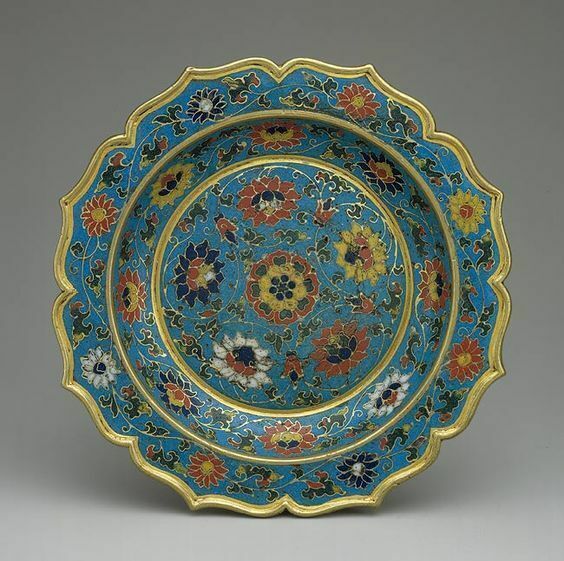 Important makers of a full line of sterling flatware and hollow-ware. The company was acquired by Reed & Barton in 1928. Makers of souvenir spoons. Acquired by Breadner Mfg. Co. 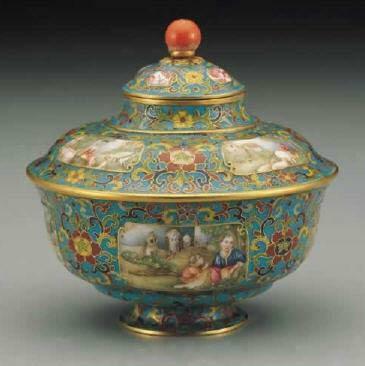 In the partnership of Campbell & Donigan with John Campbell 1853-1855. 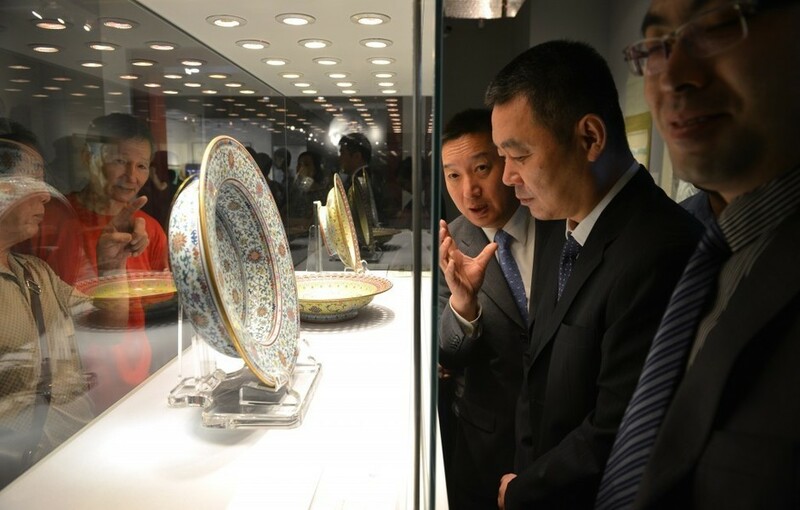 Well known as an engraver. Served under Benedict Arnold in the Revolutionary War. Founded by Leonore and David Doskow. Handmade gold and sterling jewelry and novelties. Successor to the Biggins-Rodgers Co.
Was in the partnership of Dunlevy & Dowell with Robert Dunlevy, Jr. c. 1843-1846.